Content capture can be one of the most time—and resource—intensive aspects of a content management system. 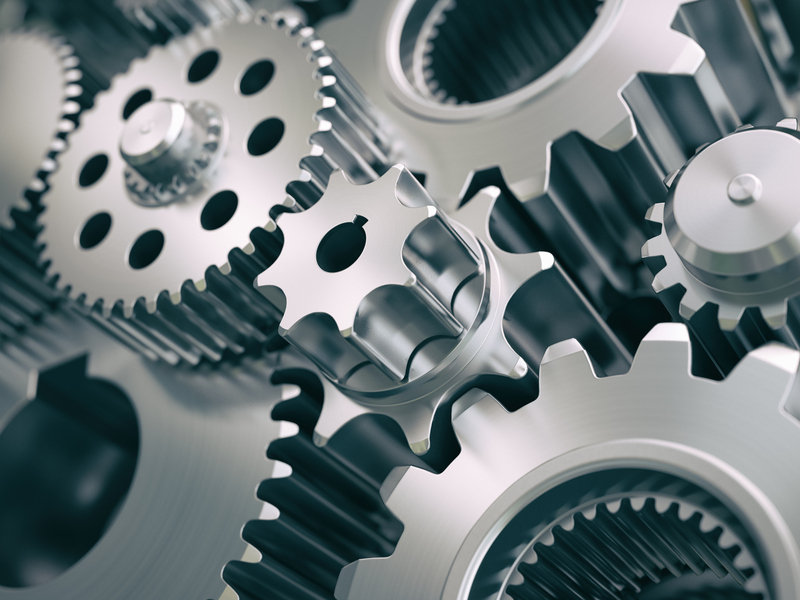 The capture workflow strategy reworks and streamlines an existing capture process by reconfiguring the entire business process instead of just changing individual pieces of a process. The result is a capture process that is more efficient, requires less oversight and forms an integral part of the content management system. What if a user or employee needs a document before it has been processed? What if the document needs to be tracked from the time it enters the office and not just after it has been added to the Laserfiche repository? Content is imported into Laserfiche as early as possible in the process, allowing users to search and access documents no matter where the documents are in their lifecycle. Because all content is entered into Laserfiche as soon as it is received, urgent documents can be accessible right away. Users do not have to wait for related content to be received and processed before accessing documents. A document’s audit history reflects the entire document lifecycle, not just how the document was used after processing. The best way to describe a capture workflow system is to show one in practice. I’ll use a fictional organization, “The Laser Winery,” to show how capture workflow operates. Whenever the Laser Winery wants to initiate a bottling run for a certain type of wine, it must first get the bottle materials (bottle, labels and corks) approved by various departments within the organization, as well as by the national Alcohol and Tobacco Tax Trade Bureau (TTB). A 60-day average processing time per bottling run. Nine different copies of the same documents spread out across five departments. Incorrect items being ordered in the end. No record of any actions taken by any employees. In order to streamline the material and label approval process, Laser Winery could break the process down into steps and find a way to optimize each one. For example, the materials coordinator could e-mail the material and label specification documents to the quality assurance department instead of making photocopies, then driving over to hand deliver the documents. While this would make the material coordinator’s life easier, it does not necessarily streamline the overall process. In order to truly make a business process efficient, it is important to take a step back and analyze the process as a whole: Laser Winery should set goals that it would like to accomplish, and then use the tools available in Laserfiche to accomplish them. It is not a best practice to reproduce the current process using Laserfiche tools. Instead, users should create a capture strategy that is better, stronger and faster. All material and label specifications should be approved by the departments within 24 hours. Correct information should be available to everyone in the organization all the time. Only correct labels should be submitted to the TTB for review. With these goals in mind, Laser Winery restructured its entire business process and let Laserfiche take care of the majority of the work. Material and label specifications are now imported into Laserfiche by the materials coordinator as soon they are received. 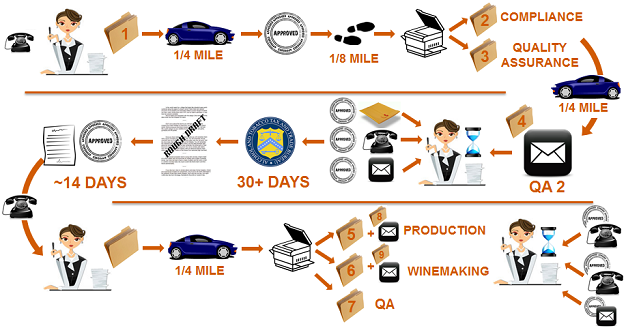 Once everything is compiled in Laserfiche, Laserfiche Workflow routes shortcuts of the documents to Quality Assurance, Winemaking and Production for approval. Each department can review and approve them at the same time. Once those departments have approved the documents, Laserfiche Workflow forwards the documents to the compliance department. The compliance department approves the documents and sends the labels to the TTB for approval. 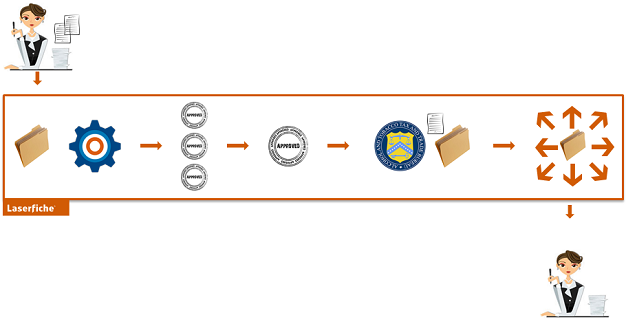 Once the TTB approves everything, Laserfiche Workflow notifies the purchasing department to begin the order process. The folder is archived in Laserfiche and any employee with the appropriate security rights can view its contents at any time. Material and label specification approval times have been cut in half. The documents can be viewed by any employee with appropriate security rights at any time during the process. Correct label specifications are always sent to the TTB for approval. Only one copy of the documents is stored. All departments can review and approve these documents simultaneously through the use of shortcuts.